We are thrilled to share the wineries already confirmed for 2018 Hudson Valley Wine & Food Fest. Celebrating all things wine, our event’s main focus is to highlight the wonderful Hudson Valley wineries – New York and beyond. 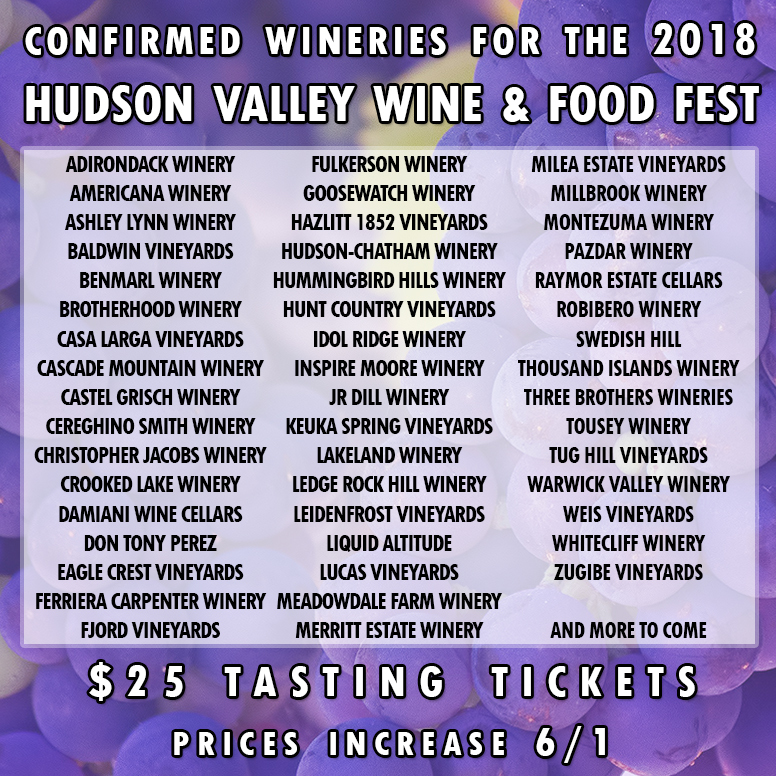 As a New York Farm Market, the Hudson Valley Wine & Food Fest presents wineries with the ability to sell wine by the bottle, thus offering a marvelous opportunity for our guests to purchase the finest wines directly from the winery. 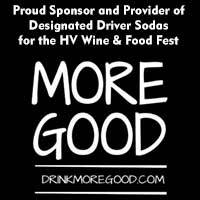 If you are a New York and/or Hudson Valley winery or wine/liquor distributor and are interested in becoming a vendor at our event, please visit the Become A Vendor Page. 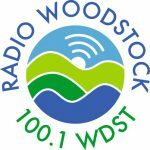 Buy Tasting Tickets for only $25 – prices increase 6/1!